HORAIRES DES MATCHS by pticolt on 22/06/17 00:13. 3 2594 Here by pticolt on 26/06/17 08:01.
bug accession d6 / d7 by pticolt on 15/11/15 11:55. 4 4599 Here by pticolt on 15/11/15 13:35.
succes roi des tournois by pticolt on 13/10/15 22:50. 3 4835 Here by Alessandria del Carr… on 13/10/15 23:33. Durée des blessures by pticolt on 10/10/15 10:03. 8 5153 Here by Daniel Vignon on 18/10/15 16:11.
durée des matchs by pticolt on 16/09/15 19:35. 8 5524 Here by Jerome Aguesse on 26/11/15 19:17. 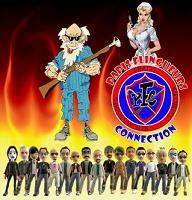 Guilde ' Les papys flingueurs" by pticolt on 06/09/15 17:44. 151 36752 Here by pticolt on 21/11/16 08:39. Points championnat by pticolt on 15/08/15 17:19. 14 10860 Here by Mcka on 17/09/15 17:32. Forum Externe by pticolt on 15/08/15 10:13. 0 5341 Here by pticolt on 15/08/15 10:13.
question debutant by pticolt on 07/08/15 14:47. 7 6412 Here by Daniel Vignon on 18/09/15 22:20. Cherche guilde pour reprise by Stephane La on 21/11/17 07:51. 11 3326 Here by CAGNAN on 28/12/17 22:34. Primé en defi de guilde by diablo83100_lacagnan… on 20/11/17 10:43. 1 2213 Here by pticolt on 23/11/17 20:25. MERCI ETOILE by Guest DASS1C on 09/11/17 18:35. 5 2414 Here by Guest DASS1C on 19/11/17 20:43. Affichage prime de match dans resumé des matchs by CAGNAN on 26/10/17 12:32. 11 3291 Here by Cassoul40 on 09/11/17 17:57. Les Potes au Top (¤P@T¤) by Mar Gotte on 28/12/16 11:44. 15 7087 Here by François farfadet on 06/11/17 18:22. TOURNOI AMICAL RUGBY MANAGER 2 - FINALES by Uloz on 15/07/16 23:40. 115 26308 Here by Aviron bayonna Avir … on 11/11/16 14:09. TOURNOI AMICAL RUGBY MANAGER - CLASSEMENT FINAL by Uloz on 25/05/16 18:23. 106 23439 Here by Uloz on 15/07/16 22:27. Domicile extérieur by Guillaume Mendiboure on 11/12/15 10:33. 14 8811 Here by Lycaon Deb on 20/12/15 17:15.
cherche guilde by Laurent Mestres on 07/12/15 20:54. 3 5867 Here by Laurent Mestres on 09/12/15 04:55.
super actif, je recherche une bonne guilde !!! stade 35.000 ... by Franck Tastet on 08/12/15 17:09. 36 14509 Here by guest_1453670265252 on 05/06/16 21:49.
un nouveau sur le jeu :] by tyson47 on 01/11/15 08:39. 3 6093 Here by Guitu Guitu on 06/11/15 18:34. MESSAGE D'AVERTISSEMENT A LA COMMUNAUTE DE RM2 !!! by giacometti on 19/10/15 22:08. 11 8859 Here by giacometti on 25/10/15 21:16. Connection by Munsters on 24/10/15 18:54. 12 8854 Here by PierrotLL on 29/04/16 10:07. Énergie match amical by Alessandria del Carr… on 24/10/15 04:35. 12 8291 Here by Alessandria del Carr… on 27/10/15 17:22.